Today I thought I’d share some information about my work as a healer and the unique modality I practice. 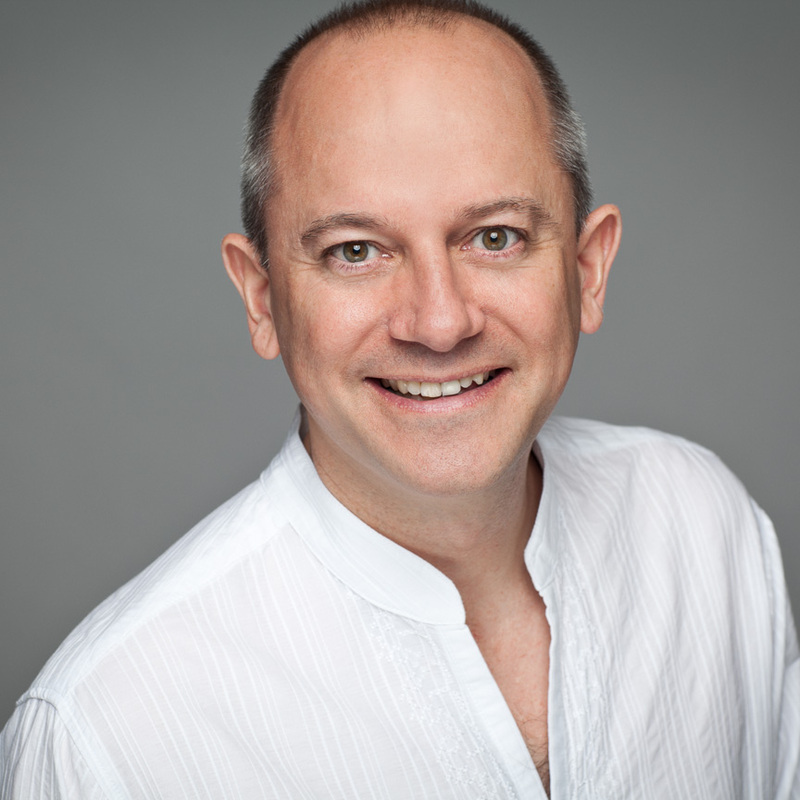 I’ve been doing hands-on healing work since the late 1990s, and I’m a co-founder of Lemurian Healing along with my wife Mamiko Maridianna. Lemurian Healing is an energy healing modality that’s based entirely on LOVE and LIGHT and has the power to transform lives. The foundational wisdom of Lemurian Healing comes from the Goddess Temples of ancient Lemuria. This means the methods Mamiko and I use and teach today are based on techniques developed by the priestesses of those ancient temples. Healing is all about making a change to our state of well-being. So think for a moment about some of the things you’d like to change in your life . . .
Maybe you’d like to experience more abundance, release your fears and worries, heal relationships, attract new relationships, gain confidence and greater self-esteem, develop your psychic abilities, uncover your life’s purpose, or free yourself from painful past events. These are the kinds of life challenges that Lemurian Healing has been helping people to heal. I’ve seen Lemurian Healing change many peoples’ lives over the last decade, including my own. When I first received a healing session that used Lemurian energy, I felt a shift in my life. Doors began opening up for me on my spiritual journey. I became more aware of the non-physical realms of my higher self, spirit guides, and my own inner wisdom. I also started experiencing much more balance in my life—physically, financially, emotionally. It was a complete SHIFT. 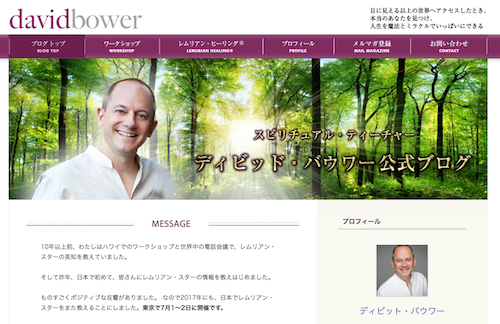 My wife Mamiko experienced a similar transformation, and she wrote a book about her healing journey entitled, Lemurian Healing, which is in its third printing in Japan. The reason we love practicing Lemurian Healing, and better yet, teaching it to others, is that we get to see peoples’ lives change dramatically. We see them become more radiant, more confident. We see their eyes sparkle as they become more of their true selves. It’s fascinating to watch, and it’s very fulfilling to experience. Many healing modalities tend to focus on physical ailments. Well, Lemurian Healing is not just about your physical body. It’s about bringing balance to your entire life. So, if you’re physically healthy but stressed about your financial situation, you’re out of balance. If you’re comfortable where you are financially, but your relationships are a mess, you’re out of balance. And, if your fears and worries are keeping you from living the life of your dreams, you’re out of alignment with who you truly are. Lemurian Healing can help bring you back into alignment with your true self and help you manifest much better balance in your life. As I mentioned at the outset, Lemurian Healing is based entirely on love. It taps into divine feminine energy, which is the universal energy of evolution, and affects both the physical and non-physical parts of who you are. It affects every area of your life because it works on four energetic levels simultaneously—physical, emotional, mental and spiritual. It helps you open your heart so you can give and receive love more freely. Ultimately, Lemurian Healing helps you connect with your own divine self so that you can become who you really want to be and manifest what you truly desire in this life. Lemurian Healing is simple, but it’s incredibly powerful. One of the reasons it’s so effective is that it engages your higher self and the plan or blueprint you created for this lifetime. So, essentially it connects you to your own source energy and the wisdom of why you’re even here in the first place. It’s the source that knows your perfection and knows your purpose. The answer is no. Lemurian Healing is incredibly simple to learn. Anyone can do it, regardless of age or background. No previous experience is required to learn these healing techniques. Mamiko and I have been teaching Lemurian Healing in Japan for many years now. And more recently we’ve been certifying practitioners in the UK and Europe. We also train people to teach Lemurian Healing, but we only hold teacher workshops here in Hawaii. That’s because the Hawaiian Islands are the ancient mountaintops of Lemuria. 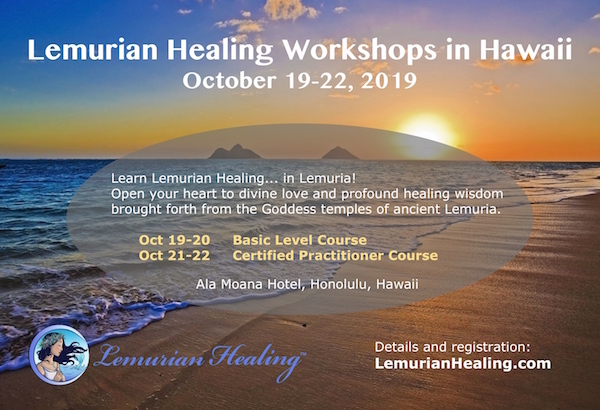 The energy connection here in Hawaii is still incredibly strong, and we want our teachers to experience that profound connection to Lemuria. Lemurian Healing is appropriate for anyone who is truly ready to experience change. The first step is simply making the decision: I choose to change my life. I am ready to heal. If you feel drawn to this type of healing or to the energy of Lemuria, I invite you experience Lemurian Healing first-hand. If an in-person session isn’t practical, long-distance healing sessions can be just as powerful, or even more so. Better yet, I encourage you to learn how to do Lemurian Healing for yourself and for others. Your life will never be the same. And that’s a good thing. To learn more about Lemurian Healing, visit LemurianHealing.com. To schedule a healing session with me, learn how you can work with me.